A-1 Truck Warehouse of Kansas / The Kansas Tire Guys serves auto, car, and SUV tire sales and service needs of customers in Mt. Hope, KS, Wichita, KS, Hutchinson, KS, and surrounding areas. A-1 Truck Warehouse of Kansas / The Kansas Tire Guys is located at 120 East Main in Mt. Hope, KS as your source for new and used tire sales and service, and wheels. We are easy to find and get to, just 20 minutes NW of Wichita on K96 Highway. @ 120 E. Main. Since the beginning, our business has been focused on building strong customer relationships and providing the highest quality of workmanship on each and every automotive repair. Are car, pick-up, and SUV tire prices in Wichita too high? SHOP and COMPARE! A1 TRUCK WAREHOUSE of KANSAS CAN SAVE YOU MONEY! A-1 Truck Warehouse of Kansas / The Kansas Tire Guys can save you money. We study quality and price on all brands and stock the best deals you can find. When we quote tire prices, we quote the TOTAL PRICE. Our price includes new standard stems, mounting, balancing, and used tire disposal- NO HIDDEN FEES. Note that some newer vehicles require a TPMS stem or rebuild kit at additional replacement cost. Rotate and balance is half price on tires purchased at our location. Do not let the name fool you: We sell car tires too! A-1 Truck Warehouse of Kansas / The Kansas Tire Guys is a pick-up truck, car, and SUV tire supply company located in Mt. Hope, KS, and owned by Rex Robinson. Competitive prices on tire brands like Hankook, Uniroyal, and Kuhmo. Tire services including computer spin balancing, flat tire repairs, tire rotations, and TPMS adjustments. ATV tires, RV tires, and trailer tires at affordable prices. We deal with 8 different warehouse suppliers of 22+ brands of tires. 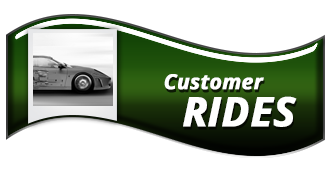 Rely on our experienced service staff to perform accurate and friendly auto repairs and tire services. Contact us online or visit us today for service you can count on. We're proud to be one of the leading tire dealers in Wichita and surrounding areas.